We are an independent garden design and build company based in Bradford, West Yorkshire. We are conscientious and qualified landscape architects, J D Noble and S J Peck. We lovingly craft beautiful gardens and outdoor spaces in an innovative way with a professional approach. We are multi skilled, personable and offer a wide range of design and landscape build solutions. 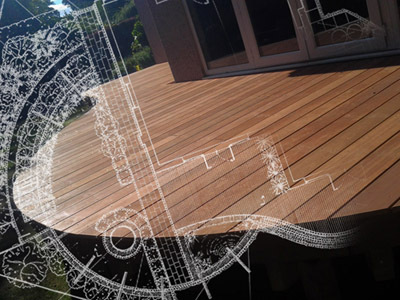 Precise decking, fencing, pergolas and seating to creative driveways, paving, walling and planting schemes. In the last 15 years we have amassed superb references, an exciting portfolio, and a drive for the right solution to suit you. We have an alternative and artistic edge in rethinking and restructuring gardens, with attention to detail, build quality and customer care. We work sensitively with our clients and their properties; tailor making impressive hard and soft landscapes that are built to last.